BEIJING — China’s economic growth hit a three-decade low in 2018, adding to pressure on Beijing to beef up stimulus measures and settle a tariff war with Washington. 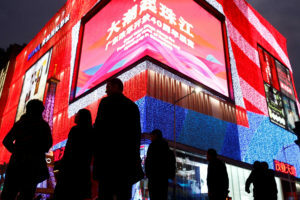 Growth slowed to 6.6 percent from 2017’s 6.9 percent as both the world’s appetite for China’s exports and domestic consumer spending weakened, official data showed Monday. Forecasters said they expect Beijing to try to shore up growth by making credit cheaper. Economic growth in 2018 was the lowest since 1990’s 3.9 percent following the violent crackdown on pro-democracy protests centered on Beijing’s Tiananmen Square.